Over the past few years, scammers have been getting better and better at tricking people into handing over important and private information. Because of this, Google is getting proactive by creating warnings to be displayed when websites aren’t SSL Certified (or otherwise called “secured”). In the past, not everyone needed SSL Certification. A less web-savvy surfer wouldn’t even know if the site they were on was secured or not. This is all about to change in the Fall of 2018. The most important thing to realize is this could have a direct impact on how potential costomers experience your brand’s website. Before we dive right into defining the term, you should understand some internet fundamentals. Every time you go online, your computer is sending out signals into different webservers, or, the internet. The act of browsing the internet involves several messages coming from and into your web browser. Having a site with an SSL Certificate creates something like a “tunnel of protection” for communications to happen while you browse and use that site. If you’re on a site that isn’t secured (or SSL Certified), any activity going on within that site is vulnerable to attack and easily viewed by malicious hackers. In past years, SSL Certificates have been sold primarily to online shops, membership sites; any sort of website where users enter passwords or payment information. Hackers are extremely proficient at building phishing sites that look very similar to the site you meant to be on. What’s worse, they’re getting better at it all the time. 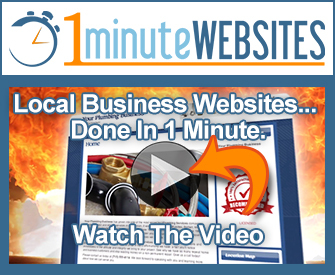 You have to look very carefully to find the subtle differences in some of these sites. They’re actively scamming people right now. This is just one of the reasons that Google has decided to step in and get proactive in an attempt to build a safer and more secure internet for everyone. Coming this October, Google is going to start marking websites as potentially dangerous or “not secure” in their words. Also if you have text boxes on your unsecured site, warnings may show up in these fields to visitors. As of right now, to be sure you are surfing on secure websites, look up in the address bar. You should see a little green padlock, at least. Some sites have extended certifications. These are a bit more difficult to obtain, but if you ever see these you can rest assured you’re on the site you meant to be on. Very soon, you’ll know much more quickly if you’re on a “not secure” website. Whether you view it as welcome progress or not, SSLs are about to become much more normalized. 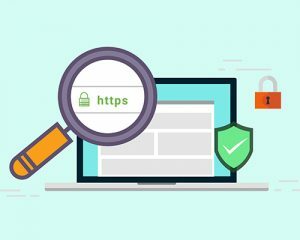 Many more websites than those of financial institutions, stores and social media are going to be needing to start utilizing SSL certifications very soon. This could even include your small business’ website. Should You Skip SSL Certification? Everything we’ve mentioned so far will be especially applicable to people that use Google Chrome. If you don’t use Google Chrome and feel like this might not be a big deal for your small business website, consider these thoughts. If you’re not using Chrome, you’re in a pretty exclusive, small club; over 1 billion people actively use Google Chrome. 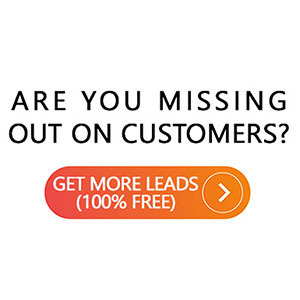 This means if you have traffic going to your company’s page; many potential leads could be getting slapped with a warning of entering an unsecured website right at the start. It’s worth repeating; more sites are going to want to start getting secured. Does SSL really make that much of a difference in where a website ranks in a Google search? It doesn’t matter if you currently have a website you like, a site that could use an update, or even if you haven’t gotten around to building one yet; getting help is easy. There’s a lot of companies out there offering different services relating to SSL Certificates. It’s hard to wade through some of the offers out there. There are so many different options available to people these days; it’s easy to get confused. Not to mention the complications that can come server-side when it comes time to install the certificate. Server-side is an industry term that means working directly on a web-server. Yes, you’ll have to work on your webserver many times to install these certificates. Luckily, SmallBusiness.info has an easy choice that happens to be our favorite. Xurli is a company that has helped tens of thousands of small to big sized businesses get online with awesome websites alongside providing a host of valuable services. Xurli provides a completely hands-off experience and can even get your businesses website secured today!